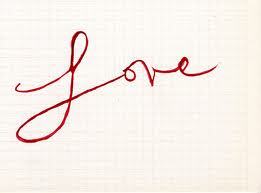 There is a difference between love (lower case) and Love (Capitalized). The first is of the mind … it is the love that changes when someone doesn't do what you want them to, or they behave in a way that you don't like and then you say "I don't love you anymore." The second is of the Heart, it sees no differences, it Sees through them … it doesn't change on circumstances or ideas … it is the Love that Passes Understanding and you are It."